Charles River is helping clients prepare for the impending MiFID II requirements by incorporating ICE Data Services’ Continuous Evaluated Pricing into the Charles River IMS. Charles River provides investment managers with an end-to-end solution for meeting regulatory obligations under MiFID II. The solution captures key data and trade lifecycle decision points needed to comply with new requirements for trade and transaction reporting, best execution and commission management. Charles River today announced it has integrated its Charles River Investment Management Solution (Charles River IMS) with Trumid’s all-to-all electronic corporate bond trading platform, the Trumid Market Center. The collaboration aims to bring greater trading efficiency and market intelligence to institutions managing corporate bond portfolios. Chevy Chase Trust Company (Chevy Chase Trust), an independently owned investment management firm based in the Washington, D.C. area, has chosen the Charles River Investment Management Solution (Charles River IMS) as the enterprise investment management platform for its high net worth and institutional businesses. The SaaS-based platform will support Chevy Chase Trust’s front and middle office in managing domestic fixed income and global equities. Charles River clients, partners and industry experts from 13 countries gathered at the Charles River 2017 Global Client Conference, held November 5-8 in Boca Raton, Florida. More than 550 attendees learned about Charles River’s newest offerings and discussed ongoing challenges for the buy side such as incorporating risk analytics into the investment process, expansion of passive investing, methods of integrating the front/middle/back offices and custody, managing OTC derivatives, and deployment of enterprise systems. Charles River Development has formalized a partnership with OpenDoor Securities (“OpenDoor”) to provide asset managers with access to OpenDoor’s all‐to‐all market‐based solution for off‐the‐run US Treasuries and TIPS, directly from the Charles River Investment Management Solution. Under the agreement, Charles River clients will be able to participate in OpenDoor’s daily anonymous auctions from their trading blotter. Charles River is pleased to announce that Fiera Capital Inc., an affiliate of Fiera Capital Corporation (TSX: FSZ), a leading independent asset management firm, has chosen the Charles River Investment Management Solution for its institutional and private client investment management businesses. The SaaS-based solution will serve as an end-to-end platform for Fiera Capital’s portfolio managers, traders, compliance and operations staff. 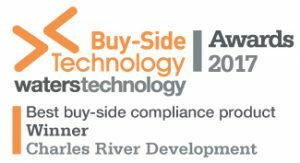 Charles River Compliance has won “Best Buy-Side Compliance Product” in the 2017 Buy-Side Technology Awards. The announcement came at Waters Technology’s 11th annual award ceremony in London on November 3. The awards recognize the leading technologies and vendors in their area of expertise, as judged by buy-side-focused technology consultants and Buy-Side Technology’s editors. SCB Asset Management Company Limited (SCBAM) is live with enhanced portfolio management capabilities in the Charles River Investment Management Solution (Charles River IMS). SCBAM has been a Charles River client for more than four years and uses Charles River IMS for portfolio management, trading and compliance across multiple asset classes, including equities, fixed income, FX, and derivatives. Charles River Development and Trax, a subsidiary of MarketAxess Holdings, Inc., have entered into an agreement to integrate Trax’s MiFID II Trade and Transaction reporting solutions into the Charles River Investment Management Solution (Charles River IMS). Pursuant to the arrangement, mutual clients of both firms are able to use the Trax Approved Publication Arrangement (APA) to publish trade reports and Approved Reporting Mechanism (ARM) to transaction report trades to National Competent Authorities (NCAs) for all required asset classes. Charles River Development has formalized a partnership with Northfield Information Services Inc. to integrate Northfield’s portfolio optimizer and suite of cross-asset factor models in the Charles River Investment Management Solution (Charles River IMS). Under the agreement, Charles River clients will have access to all of Northfield’s factor models including equity, REIT, private equity, multi-asset models and others. Charles River Development has formalized a partnership agreement with TRADEcho to automate Trade reporting under the European Union’s Markets in Financial Directive II (MiFID II), which goes into effect in January of 2018. Under the partnership, firms with the Charles River Investment Management Solution (Charles River IMS) are able to use TRADEcho as an Approved Publication Arrangement (APA) to report trades to the public and access TRADEcho’s unique Smart Report Router (SRR) to determine trade reporting eligibility. Resona Bank Ltd., a subsidiary of Resona Holdings, Inc., has begun implementation of the Charles River Investment Management Solution (Charles River IMS) for its front and middle office operations. The Charles River IMS provides Resona Bank with a single enterprise platform for managing its equity, fixed income, FX and derivatives investments. Charles River Development has formalized a partnership agreement with the London Stock Exchange’s UnaVista to automate Transaction reporting under the European Union’s Markets in Financial Directive II (MiFID II). Under the partnership, the firms’ mutual clients are able to use UnaVista as an Approved Reporting Mechanism (ARM) to report transactions to National Competent Authorities (NCAs) for all required asset classes. Charles River Development has certified Luminex Trading & Analytics LLC as a sweep partner for the Charles River Investment Management Solution (Charles River IMS). The integrated offering enables the firms’ mutual clients to improve access to liquidity while reducing trading costs and minimizing market impact. The Glenmede Trust Company, N.A. (Glenmede) has chosen the Charles River Investment Management Solution (Charles River IMS) as the enterprise investment management platform for its institutional and wealth management businesses. Phatra Asset Management Company Limited, a leading Thai investment management firm, has upgraded to the Charles River Investment Management Solution (IMS) Version 9.8 for its domestic and global fixed income, equity, derivatives and money market operations. Charles River Development announced it has partnered with OTAS Technologies and incorporated OTAS’s global equity trading analytics in the Charles River Investment Management Solution (Charles River IMS). 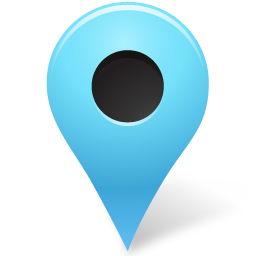 Charles River has relocated its Asia Pacific regional headquarters to a new office in Melbourne. The move is in response to regional growth and increased market demand for Software as a Service (SaaS) deployment of the Charles River Investment Management Solution (Charles River IMS). More than 150 attendees representing over 40 firms from 16 countries participated in Charles River Development’s 2017 EMEA Client Conference, held March 7th and 8th in London. RE Advisers has positioned itself for future growth with the implementation of Charles River’s Software as a Service (SaaS)-based solution to manage its domestic equity and fixed income strategies. Presented on February 9th in Geneva, the WealthBriefing awards honor technology vendors for developing innovative tools for Swiss wealth management firms. Hong Kong’s Value Partners Group is supporting business expansion beyond Asia by automating front-and middle-office activities with the Charles River Investment Management Solution (Charles River IMS). All Charles River products, services and operations worldwide are now certified to meet ISO 27001 security standards, a globally-recognized standard for managing information security and risk.